Bottomline: Compact but fully featured Rekordbox DJ controller, with pro features. 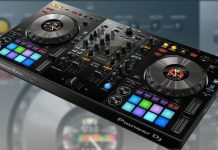 The Pioneer DJ DDJ-RX is the Rekordbox DJ version of popular DDJ-SX2 Serato DJ controller, and because of that, it looks and feels quite similar. 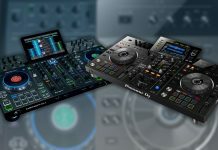 The look & feel has been changed to match the Rekordbox DJ look & feel, and a few features, such as the color fx buttons on the mixer and the sequencer buttons on each deck have been added to support these additional features in Rekordbox DJ. The controller feels very sturdy, solid and built to last. Pioneer DJ rarely disappoints on build quality and that is for sure the case here. Full metal faceplate, rubber knobs, solid faders… This controller will for sure take a beating and live to tell the story. 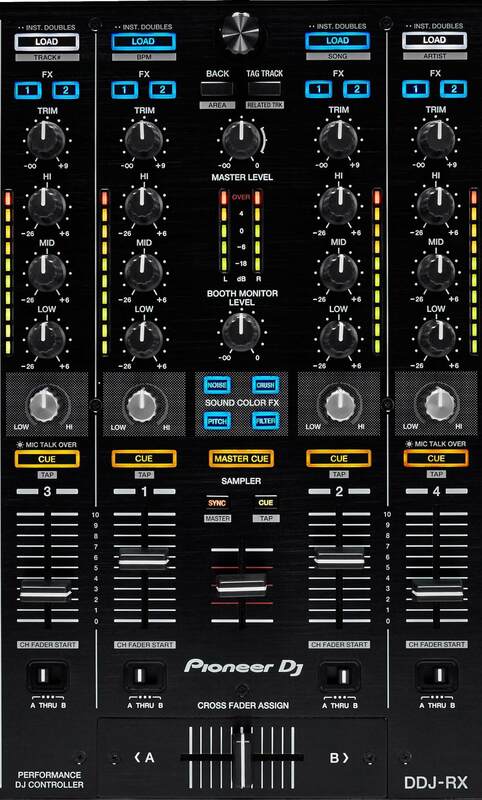 The DDJ-RX effects section for each looks very similar to the one on the DDJ-RR. You can control 3 Rekordbox DJ effects at the same time, change the effects using shift + “on” button and change the number of beats used with the arrow buttons. There is also a knob to change and trigger the Release FX (Vinyl break, Echo and Back Spin). The jog wheels on the DDJ-RX are truly amazing. 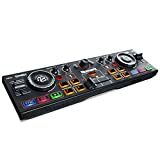 It’s my favorite part of this controller and must say I prefer them over the ones on my DDJ-SZ even if those are bigger and have the CDJ like LCD screen in the middle. Truth is that the leds build into the DDJ-RX jogs are more than enough (for me). The tension and resistance on them when in use are perfect (not too heavy, not too light). Finally, the rubber sides are perfect for track nudging. The transport section of the DDJ-RX is crammed with features, there is much going on here. 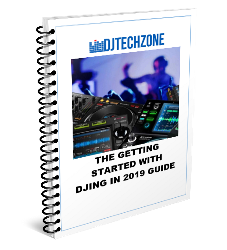 The layout is very similar to what we know of previous DDJ controllers: the trademark Pioneer DJ cue & play buttons on the left, the 8 velocity sensitive pads right under the jog and the loop controls on the right. 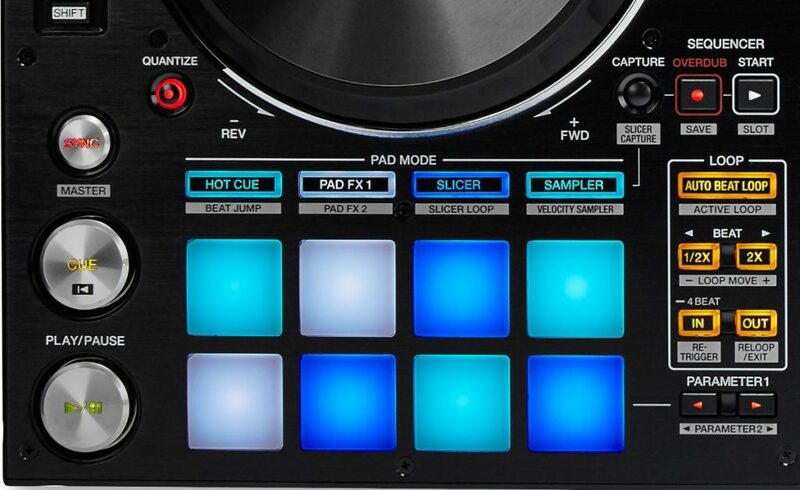 Hot cue: in this mode, the pads trigger the hot cues you set in Rekordbox DJ. If you press the shift + hot cue button, you put the controller in beat jump mode, that allows you to jump around a track with a configurable amount of beats. Pad FX: in this mode, you can activate different effects depending on what you hit. the top row pads activate the roll effect (looping the track for x amount of beats while the track keeps playing in the background). the bottom row activates different effects such as flanger, echo or whatever you choose for the amount of time you press the pad. Very cool. Slicer: The slicer cuts a part of the track in a loop of a certain configurable size and you can loop parts of the loop by hitting the different pads. Sampler: Activate your samples, when in velocity mode (SHIFT + sampler) the pads become velocity sensitive and will react to the intensity you hit the pads with. The sequencer is Rekordbox DJs answer to the Serato Flip function. Essentially, you can record sequences you create using the pads and store them for later use. See the video below for an example on how to use this. 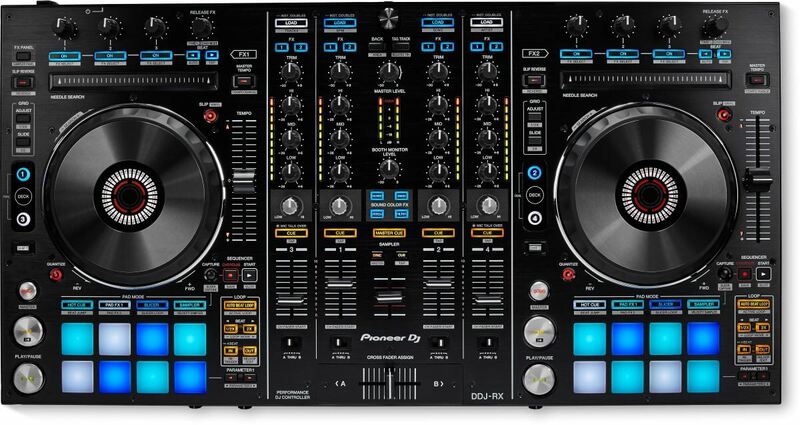 The mixer section of the DDJ-RX looks & feels as a professional DJM mixer, and the addition of the color fx buttons brings the DDJ-RX even more in pro terrain. The rest of the mixer is clearly laid out and feature rich. Each channel has a clear load button, FX assignment buttons, a trim knob and a full band EQ. The VU meters are detailed and in the middle of the mixer, you can set the master & booth monitor level. Then, the faders. They are particularly sturdy and have good resistance against them. I love this since in my mixing style I use the line faders a lot and when they are too loose I risk to move them more than desired. Right in the middle, there is a sampler volume control and, differently to the DDJ-SX2, a sync & cue button for the sampler. Finally, there is under every channel a crossfader assign selector. 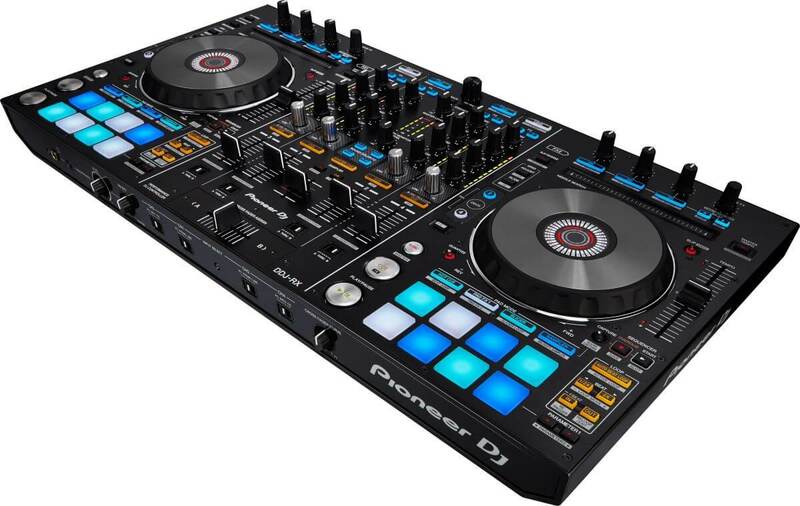 The DDJ-RX has extensive I/O. Each channel has an RCA input, line 3 and line 4 each have mic input as well. This means that to use the mic you need to sacrifice a channel, but in return, you have all the EQ and color FX available to play around with. 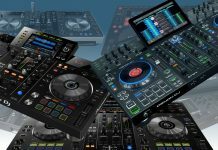 And since most DJs don’t use 4 channels simultaneously, this shouldn’t be a big problem. The DDJ-RX has TSR Booth out and both XLR and RCA master out. 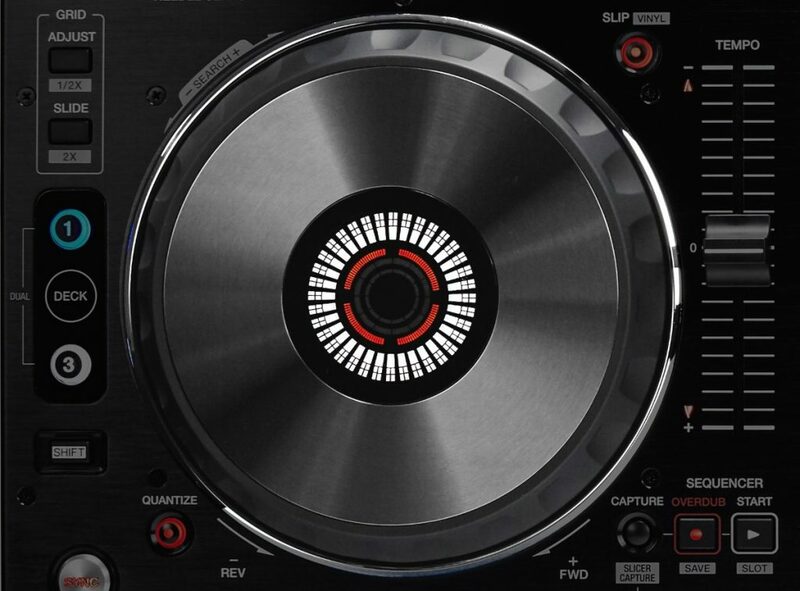 The added benefit of using Rekordbox DJ to manage your music library is that if you want (or need to) make the jump to CDJs, you just need to export your tracks to USB and you are ready to play with any (modern) CDJ. The first Rekordbox DJ controller to come out last year together with the DDJ-RZ, the Pioneer DJ DDJ-RX brings all the good stuff from the DDJ-SX2 and enhances it with extra features such as hardware color fx and a hardware sequencer controls. A very solid package that will please all sorts of DJs.